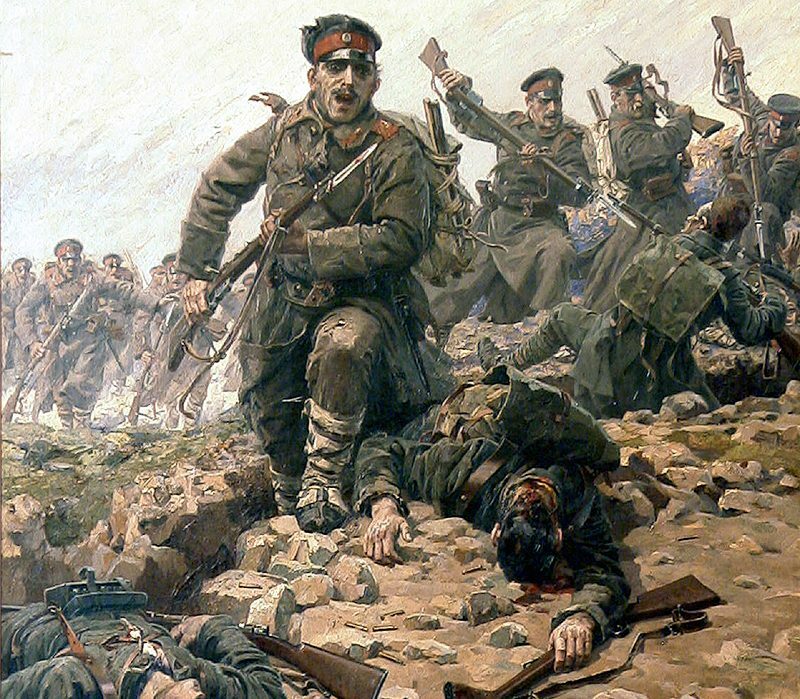 Art and War: Eastern Europe, Caucasus, Central Asia, and the Middle East. 27-year-old solo female traveler searching the eastern front for history and art not widely available to the English-speaking world. English and Russian. Currently in: Armenia. A Bulgarian soldier giving water to his dying enemy, an Ottoman Turk, during the Battle for Adrianople, First Balkan War c. 1912.